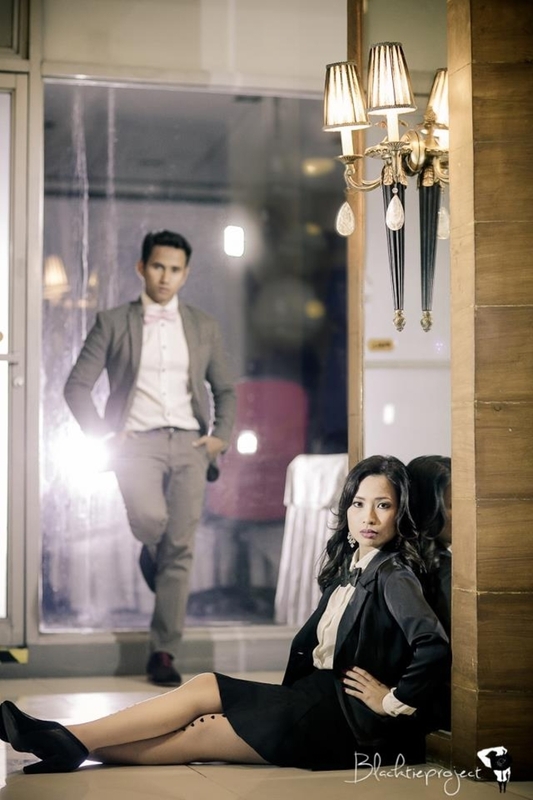 Gossip Girl: Marco + Ida Prenup! Did you see the 1st photo? Amazing noh??? Shot that 1 photo for 3 hours ata. They had to make sure the positions, the angles were perfect, the arms, the legs. We had to reshoot if there's 1 hand or foot that overlapped. It was worth it though. First time to shoot a concept like that! :) Brown gown by Porfi Medina. Thanks love! :) Anyway, here are behind the scene photos! And if any of you need help with styling, you know you can always contact me. I'm just an email or text or call or message or tweet away. Love love! wow! the first photo is indeed amazing!! galing!! !